Obesity is an underlying issue spread out across different regions of the world especially America. Both male and female are affected by it daily and many struggles to find ways to prevent it from happening but women in general, are affected the most. According to a recent report updated in 2017, adult obesity rates now exceed 35 percent in five states, 30 percent in 25 states, and 25 percent in 46 states. Breaking that down further, women have higher chances of being obese at a 40% over men at 35%. Nevertheless, women have it harder but obesity doesn’t have to creep on us anymore. 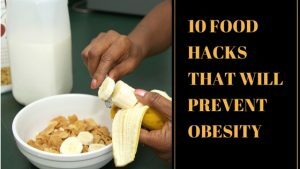 There are a plethora of different methods that we overlook in our daily lives in which where obesity can be prevented. Whether it’s by altering our eating patterns, biohacking your body, or taking vitamins such as probiotics for women for better overall health, it’s all achievable. Examples of other great DIY remedies for obesity include acupuncture, Aloe Vera, Bee Pollen, Honey and cinnamon, Coconut oil, Garlic, Lemons, Oolong tea, and Topiramate. Genetics is a big player in this game. Individuals with obese parents are much more likely to become obese than those without obese parents. Engineered Junk Foods aka processed foods are cheap and come with a price. Food manufacturers ensure we buy them because of their affordability but processed foods resemble a huge source of why so many are obese, to begin with. Aggressive Marketing leads many to spend massive amounts of money and misleads people about proper food nutrition. Insulin regulates an important hormone. A lot of America’s diet causes insulin resistance in the way that junk food causes energy to be stored in fat cells instead of being available for use. Medications and other pharmaceutical drugs can cause weight gain. Examples are diabetes medication and antidepressants, use home remedies instead. Leptin another hormone that is guilty of causing obesity. This hormone sends signals to the brain that controls food intake that we are full. Many obese people have leptin resistance and lead to overeating. Food Availability and over-consumption with the amount of food available at our comfort is another factor. Junk food is cheaper than real food which is why the availability of it is everywhere. Sugar is the reason why some food tastes great and others not so much. Too much sugar triggers hormone to change and cause weight gain. Misinformation leads to many making unhealthy eating choices. Starting with many health organizations and the government, we are all misinformed at one point or another at which way is best to lose weight and stay healthy. Junk Food – Stay away from processed food especially at night. Even though they are very convenient, they are loaded with fat, sugar, and salt. Trimming Fat – Trim all visible fat from meat. This is an important way to prevent obesity. Many individuals who don’t remove fat from meats such as chicken, pork, tend to over consume fat that could otherwise be avoided. avoided. Avoid Seconds – Avoid seconds as it leads to our bowls over expanding & eventually obesity. If you’re eating at home, put a portion of food on your plate and then return the rest to the fridge right away. If you can’t see a second helping, it’s easier not to take a second helping. Hide your seconds. Eat Slower – Eat slowly and enjoy your meals.The benefits of slow eating include better digestion, better hydration, easier weight loss or maintenance, and greater satisfaction with our meals. Fact: it takes about 20 minutes for our brains to register that we’re full. Limit Alcohol – Limit the intake of alcohol, when going out with the girls. Alcohol causes weight gain by giving you surplus calories, promoting appetite, increasing impulsivity and redistributing fat. Alcohol contains more calories than sugar & entices binge eating. Fact: A frozen margarita has similar calories to a cheeseburger. Smaller Plates – Use a smaller size plate for dinner. This helps you control your portion and trains your stomach to eat less. You simply can’t over consume if you downsize your dinner plate. Eat Fish – Eat more fish, they are a good source of protein and omega 3 fatty acids. From tuna, salmon, and cod, the fatty acid supplementation found in fish fight abdominal fat genes & inflammation. Avoid Mayonnaise – Avoid mayonnaise in salads, it contains unhealthy fats and excess calories. Instead, use lemon juice. Lemon Juice also promotes hydration, a good source of vitamin C, improves skin quality, & supports weight loss. Quit Watching TV While You Eat – Ever watched your favorite show on Netflix & before you know it, you zone out and completely ate all of your food without noticing? Yep, we’re all guilty of it.Fact: Avoid eating your meals while watching television and you will eat less, tricking your mind to only eat without depending on the TV. Follow these home remedies and tips regularly until you’ve reached your desired weight. Check out these articles to get the latest information on how to lose belly fat and how to lose weight on the face without any side effects. Then kindly share your experience with us below.